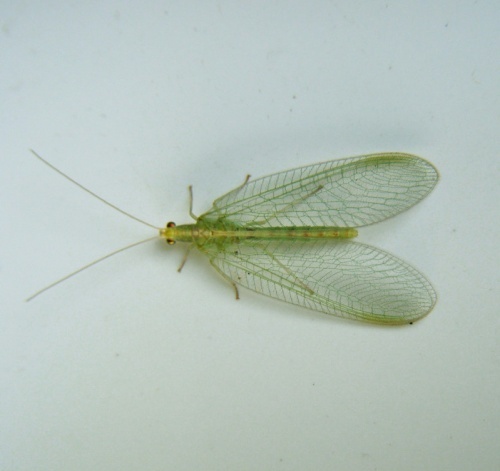 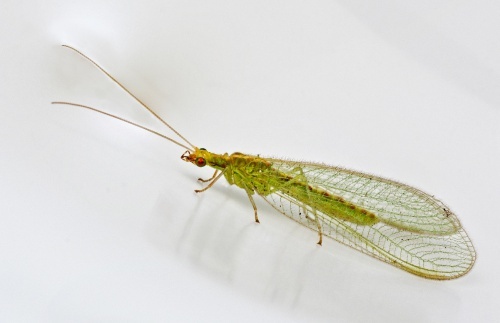 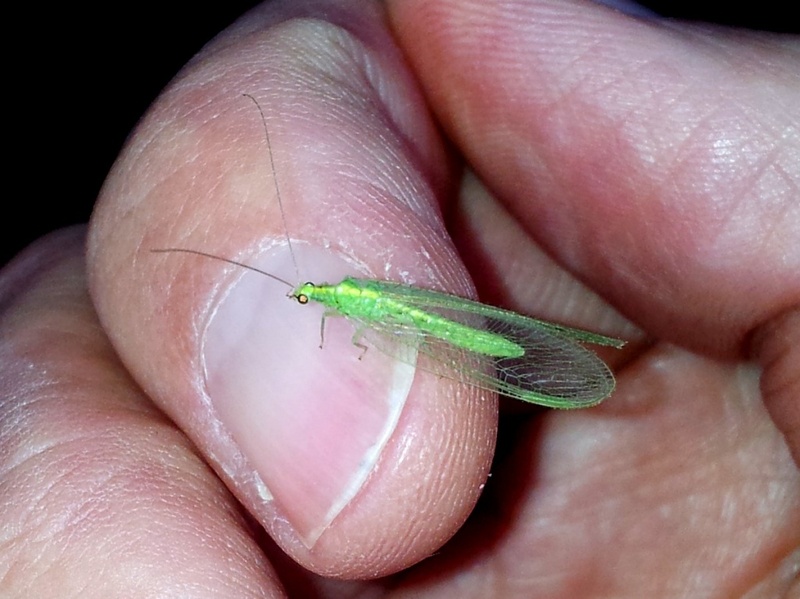 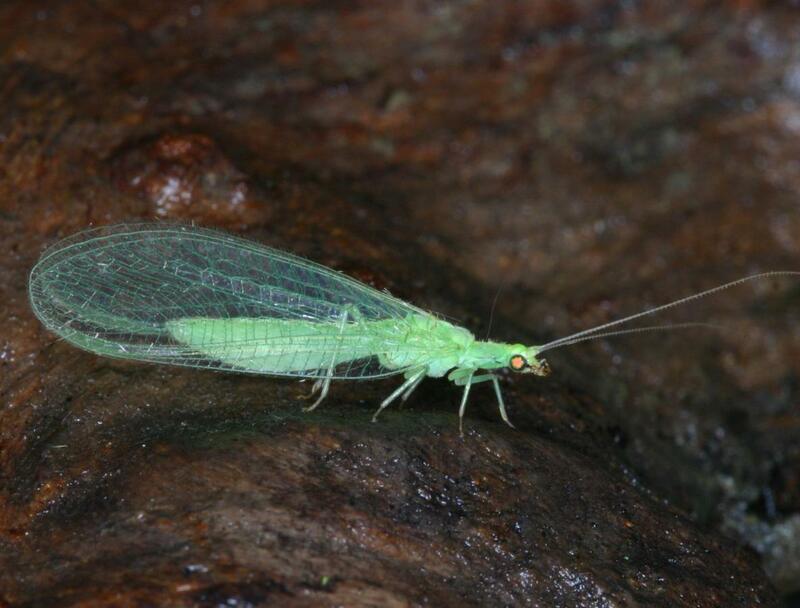 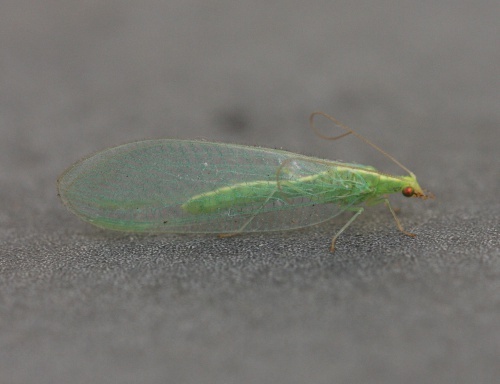 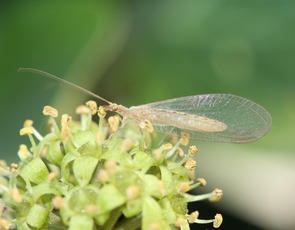 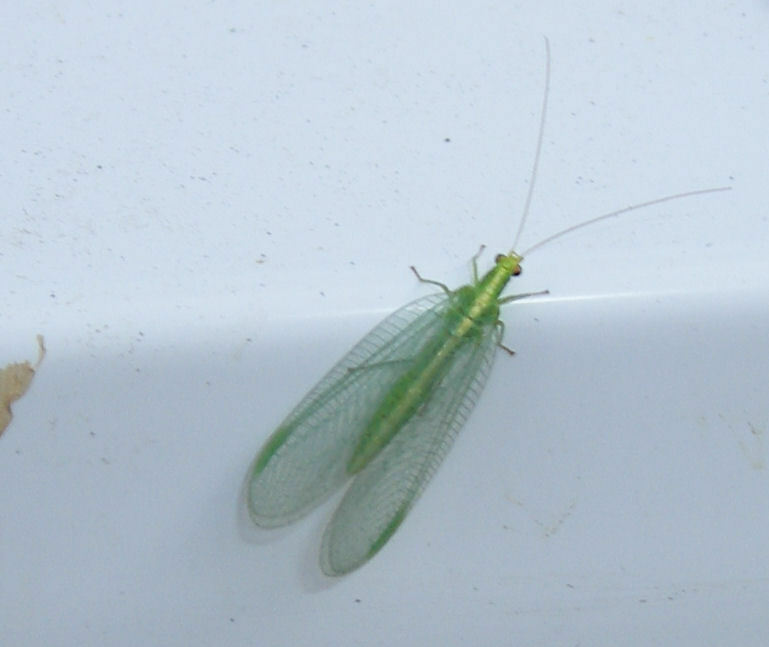 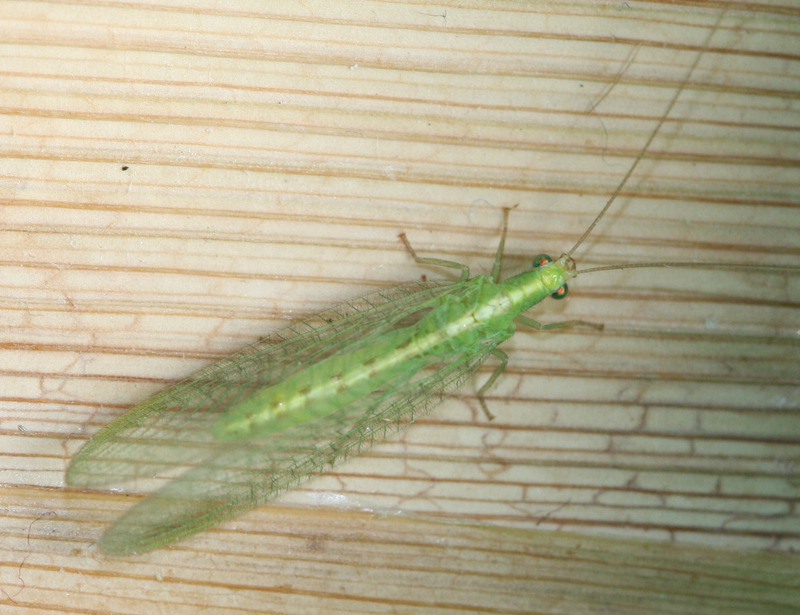 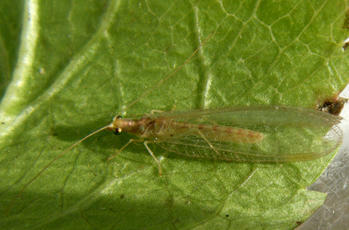 This is the most common of our green lacewings and the only one to hibernate. 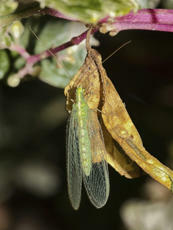 Late in the season it loses the green pigment and becomes straw coloured. 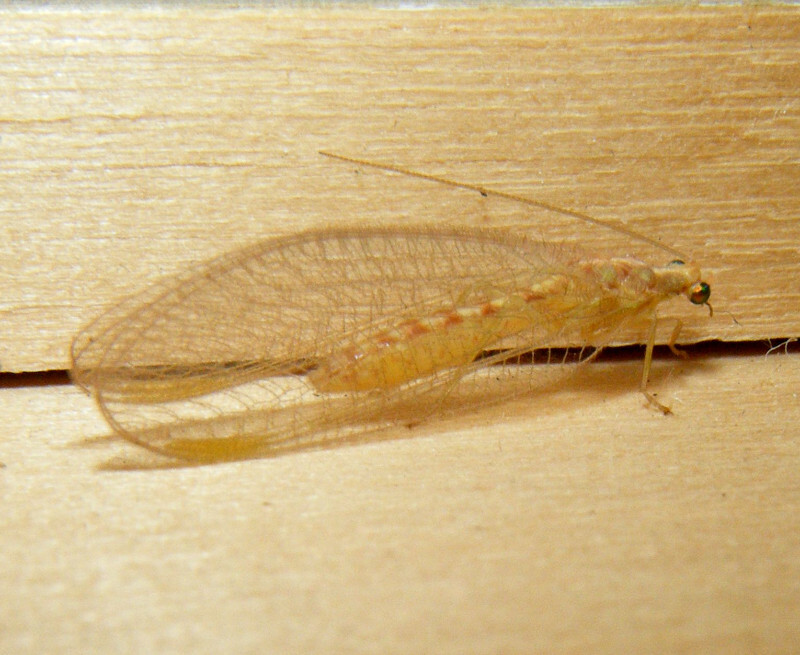 It often has a pale strip along its dorsal surface and also has hairy veins on its wings, can just be seen with a hand lens. 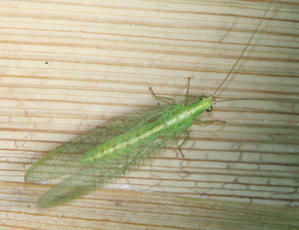 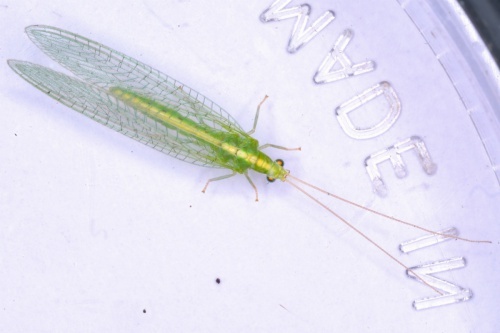 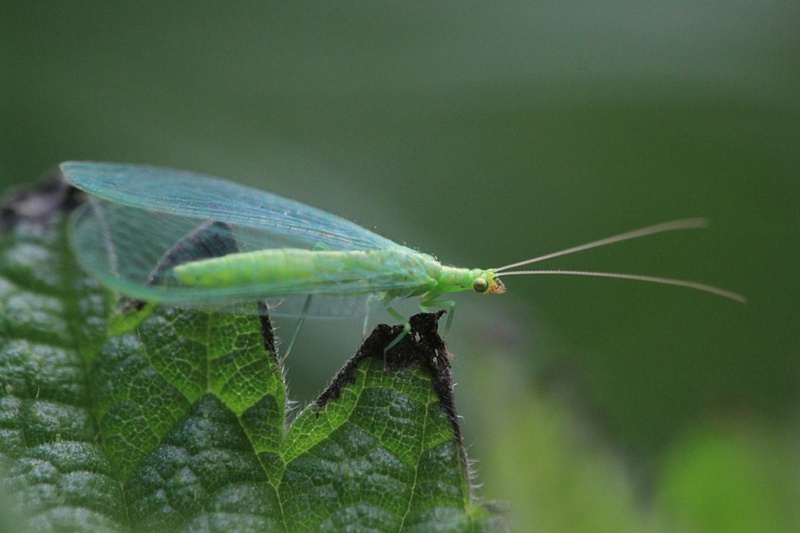 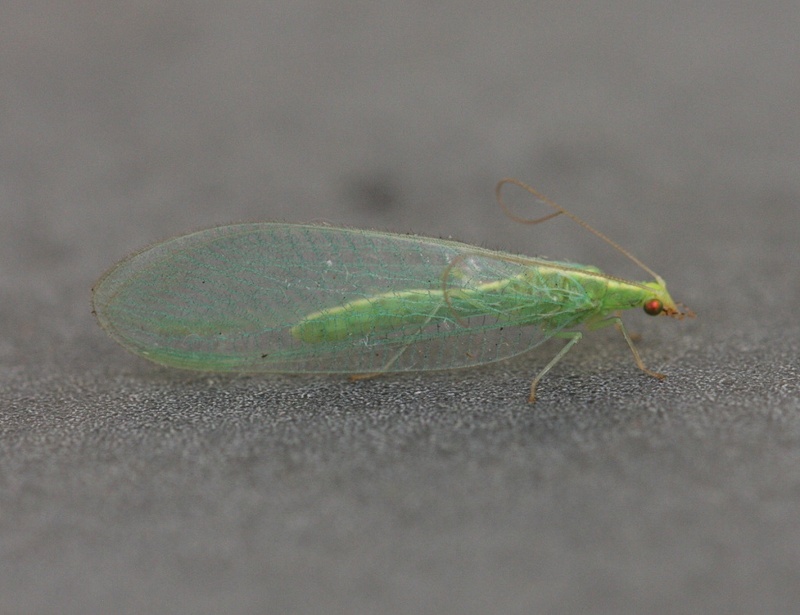 There are several other green lacewings so identification normally requires close examination of the specimen. 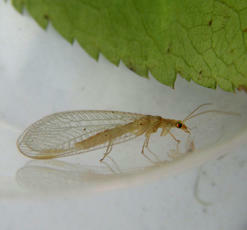 Various habitats, often entering houses as it prepares for hibernation, and on summer evenings when it is attracted to lights. All year round hibernating in winter with the peak time being May to August. Common in Leicestershire and Rutland although exact status is difficult to determine as C. lucasina and C. carnea were only separated in the 1990s.